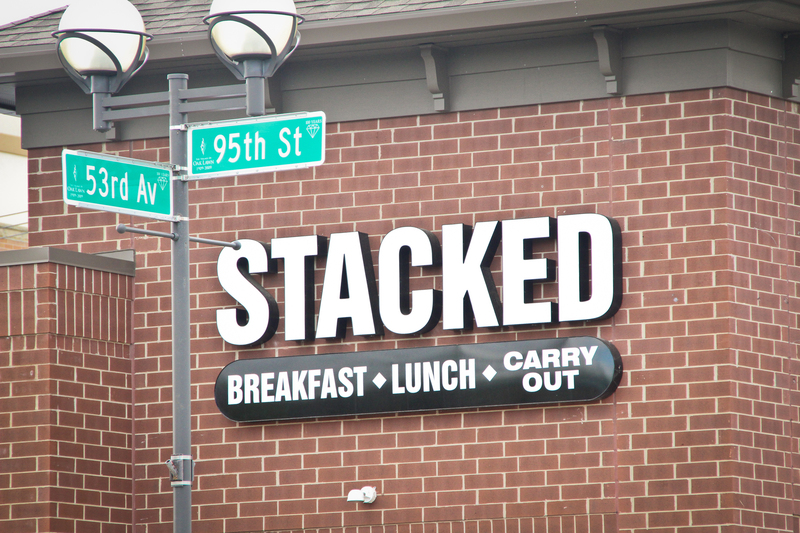 STACKED pancake house is serving up a menu featuring traditional American fare. Located directly across the Oak Lawn Public Library and near The Village of Oak Lawn, we are open daily between 6am to 3pm for casual walk-in dining and convenient carryouts. Free wi-fi is available and parking is located in the rear of the building. We offer a full selection of gourmet pancakes and french toast, including our luscious Red Velvet Pancakes, delightful Cinnamon Raisin French Toast, scrumptious Denver Omelettes and steaming Country Skillets. Our lunch selections include delicious large salads, deluxe sandwiches, and hearty 1/2 pound 100% Angus beef burgers that are sure to please your taste buds.